After years of litigation by the family of a woman who was hit by a truck in the parking lot of a Bay City, Mich. Menard’s, the Michigan Supreme Court declined to hear an appeal by Wisconsin-based home improvement chain. In declining to take the case — months after hearing oral arguments — the court eschewed weighing-in on a personal-injury case at a big-box store, which may have consequences for retailers and their customers. 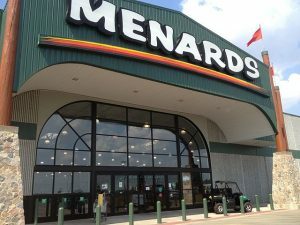 The court’s demurral allows an appeals court decision to stand against Menards, which was sued after a shopper was struck by a pickup truck while pushing a cart outside the Bay City store in 2011. The woman, Virginia Rawluszki, ultimately died from injuries sustained in the accident, two years later, at age 72. Her family contends that Menards should have installed stop signs to slow down traffic at a crosswalk. 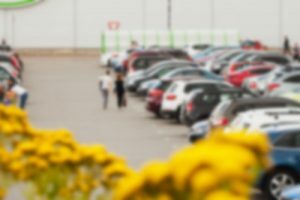 In its defense, the retailer asserted the risk of being hit in a parking lot is “open and obvious,” a key legal standard in Michigan that often protects property owners from liability. Under Michigan law, a premises owner may be held liable for personal injuries or damages resulting from dangerous conditions on their property. This is known as a premises liability claim. However, two courts declined to dismiss the lawsuit. The Supreme Court, in a unanimous order at the end of June, said it won’t get involved, leaving an appeals court decision in favor of Rawluszki’s family and sending the case back to a Bay County judge for trial or possible settlement. “It doesn’t have the strongest precedent of a written opinion, but it’s the second-best thing the Supreme Court could have done: Let a jury decide,” attorney Philip Ellison, who argued on behalf of the family, told the Associated Press. Justice Kurtis Wilder, the state’s newest Supreme Court justice, recused himself from the case as he was on the appeals court panel that chose to let the case proceed. Wilder wrote in favor of Menards in that 2-1 decision. Under Michigan law, a premises owner can be held liable in a tort action for personal injuries or damages resulting from dangerous conditions on their property. This is known as a premises liability claim. While liability in Michigan slip and fall cases largely depends on the legal status of the plaintiff at the time they were injured, a personal injury attorney will also evaluate the specific facts and circumstances surrounding the fall to determine whether there is a viable case. Many of these inquiries will center on whether or not the dangerous condition causing the fall was open and obvious under Michigan law. While there are two exceptions to the open and obvious doctrine: for conditions that are “effectively unavoidable,” or ones that pose an “unreasonably high risk of injury,” the standard for proving “special aspects” exist, nullifying the “open and obvious” doctrine is extremely high. However, if the case doesn’t settle, it could be a win for consumers whose protections under the guise of “tort reform” are always under threat. Menards may choose to not role the dice and settle.